Nanotechnology ("nanotech") is the manipulation of matter on an atomic, molecular, and supra molecular scale. Nanotechnology as defined by size is naturally very broad, including fields of science as diverse as surface science, organic chemistry, molecular biology, semiconductor physics, micro fabrication, etc. The associated research and applications are equally diverse, ranging from extensions of conventional device physics to completely new approaches based upon molecular self-assembly, from developing new materials with dimensions on the nano scale to direct control of matter on the atomic scale. To discuss the advancements in the field of nanotechnology, Conference Series Conferences has taken the initiation to gather the world class experts both from academic and industry in a common platform at its Nanotechnology Conferences. Conference Series Organizes 1000+ Global Events Conference Series Organizes 1000+ Global Events Every Year across USA, Europe & Asia with support from 1000 more scientific societies and Publishes 700+ Open access journals which contains over 100000 eminent personalities, reputed scientists as editorial board and organizing committee members. 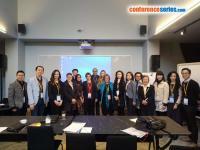 The conference series website will provide you list and details about the conference organize worldwide. 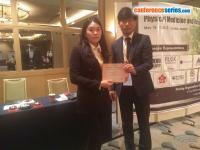 conference series website will provide you list and details about the conference organize worldwide. Estimates of the global nanotechnology market in 2010 range from about $15.7 billion to $1 trillion. By 2016, the market may be worth more than $2.4 trillion, according to different analysts. These differences reflect not only different analytical methods and assumptions, but also different definitions of the nanotechnology market (e.g., whether to include decades-old technologies such as carbon black rubber reinforcers and photographic silver, or whether to base the market value on nanotechnology inputs alone, as opposed to the total value of products that incorporate nanotechnology). The new title on “Nanomedicine Market (Neurology, Cardiovascular, Anti-inflammatory, Anti-infective, and Oncology Applications) - Global Industry Analysis, Size, Share, Growth, Trends and Forecast, 2013 - 2019," predicts that the total nanomedicine market globally will be worth USD 177.60 billion by 2019, growing considerably from its 2012 value of USD 78.54 billion. This market is expected to achieve a compounded annual growth rate of 12.3% between 2013 and 2019. Nanomaterials conference successfully completed March 15-16, 2018 London, UK which will bring together world class professors, scientists and doctors to discuss about the current developments in the field of Nanotechnology. 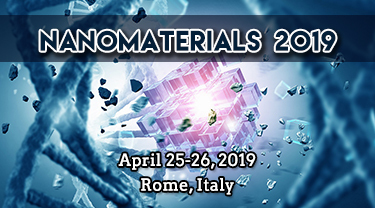 This International Nanomaterials conference is designed to provide diverse and current education that will keep Nanotechnology professionals to be updated with the advancements that are taking place in the field of Nanotechnology. With the magnificent success of Nano 2018, which was held in Rome, Italy on May 07-08, 2018 and now Conferenceseries LLC Ltd is proud to announce the “30th World Nano Conference (Nano 2019)” which is schedule on May 20-21, 2019 in the beautiful and trendy city Zürich, Switzerland. Nano 2019 is comprised of various tracks and sessions designed to offer comprehensive sessions that address current issues in the field of Nanotechnology. Nano 2019 anticipates more than 200 participants around the globe with thought provoking Keynote lectures, Oral and Poster presentations. 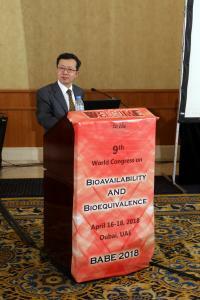 The attending delegates include Editorial Board Members of related Conference Series llc LTD, UK Journals. Nano 2019 Conference website is attracting 25000+ Nanotechnology Scientists, Professionals online visitors ranging from Researchers, Academicians and Business professionals, who are working in this field. Target Audience: Nanotechnology Scientists/Research Professors | Young Researchers | Business Delegates | Scholars | Ceramists | Nanotechnology Engineers | Universities | Research Scholars | Research Laboratories | Post-Doctoral Fellows | Nanotechnology Association Members | Physicists/Chemists | Directors of Nanotechnology companies | Entrepreneurs | Students | Exhibitors | Members of different Nanotechnology/Materials science associations. Nano Advances 2019: World Congress on Advanced Nano Research and Nano Tech Applications is scheduled during Aug 26-27, 2019 Bangkok, Thailand with the theme Cutting edge research in Nano Science and Nano Technology. It provides global platform to share thoughts on recent advances and technological breakthroughs in Material science and Engineering. Nano Advances 2019 facilitates networking, B2B Meetings and opportunities for collaborations in the related field. Target audience are Nano research Scientists, Nanotechnology Engineers, Delegates from various industries, Professors, Research Scholars and students. 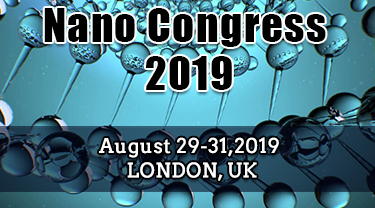 Nano Congress 2019: 31st Nano Congress for Future Advancements on Nano Congress is scheduled to be held during August 29-31, 2019 at London, UK. The theme of the conference “INVENTION OF NEW CONCEPT IN THE FIELD OF NANOTECHNOLOGY” highlights the interdisciplinary nature of Nanotechnology. Scientific Tracks designed for this conference will enable the attendees and participants to learn extremes. Nano Congress for Future Generation tiles a platform to globalize the research by installing a dialogue between industries and academic organizations and knowledge transfer from research to industry. Nano Congress 2019 will include an instructive and interesting meeting program including driving keynote speakers, mediators, session Speakers showing their presentation on the topics related to Nanotechnology. The global market for nanotechnology products was valued at $22.9 billion in 2013 and increased to about $26 billion in 2014. This market is expected to reach about $64.2 billion by 2019; a compound annual growth rate (CAGR) of 19.8% from 2014 to 2019.The global market for nanotechnology-enabled printing technology was estimated to total $14 billion in 2013. Hence to gain this information we invite you whole heartedly to meet us at the Nano Congress 2019 where you will be sure to have a great experience. Scientific Sessions: Nano Science and Technology | Material Science And Engineering | Nano Materials Synthesis and Characterisation | Advanced Nanomaterials | Nano Medicine | Carbon Nanotechnology | Nano Electronics | Nanotech for Energy and Environment | Advanced Level of Nanotechnology | Nano Robotics | Nano Applications| Graphene and its Applications | Nano Biotechnology | Nano Fluidics | Nano Engineering | Nano Photonics | Nanotechnology in Water Treatment | Nanotechnology in Tissue Engineering | Nano Biomaterials | Pharmaceutical Nanotechnology. 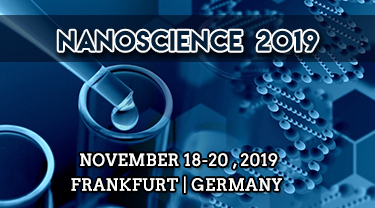 Target Audience: We welcome Nanoscience and Nanotechnology Researchers | Scientist | Nanoscience Faculty | Professors | Students | Nanotechnology Associations and Societies | Global Nanotechnology Companies | Business Delegates | Exhibitors and Sponsors. With the great success of Advanced Nanotechnology 2018, Conference Series llc Ltd is proud to announce the “32nd International Conference on Advanced Nanotechnology”, to be held during October 10-11, 2019 Dublin, Ireland. On this auspicious occasion, Organizing Committee invites the participants from all over the globe to take part in this annual flagship conference with the theme “Focusing and Expanding the Significant Assessment in Nanotechnology Inventions to the Globe”. Advanced Nanotechnology 2019 aims in proclaim knowledge and share new ideas amongst the professionals, industrialists and students from research areas of Nanotechnology, Materials Science, Chemistry and Physics to share their research experiences and indulge in interactive discussions and technical sessions at the event. The Conference will also have a space for companies and/or institutions to present their services, products, innovations and research results. If your company/organization is interested in participating in this event, contact us here. The joy of attending Advanced Nanotechnology 2019 brings with it improvement and incremental growth in your approach to do things, in the broader manner to see things and the beauty to live international diversity. 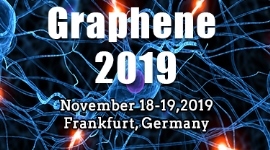 Graphene 2019: 4th World Congress and Expo on Graphene & 2D Materials is scheduled to be held during November 18-19, 2019 Frankfurt, Germany. 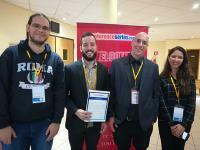 This conference aimed to expand its coverage in the areas of Graphene, Nano where expert talks, young researchers presentations will be placed in every session of the meeting will be inspired and keep up your enthusiasm. 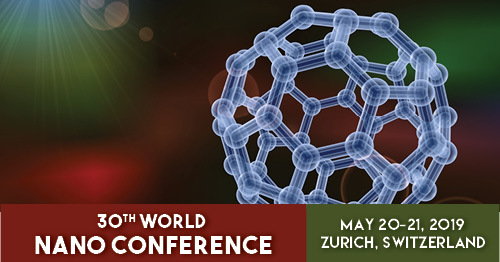 We invite you to join us at the Graphene World 2019, where you will be sure to have a meaningful experience with scholars across the world. Graphene Materials has applications in fields such as semiconductors, biotechnology, solar power, chemistry, automotive systems, apparel, coatings, robotics and aerospace. The result will be new ways to solve problems and create products based on the use of micro components. Over the next few years, the fastest-growing commercialized uses of nanotechnology will most likely be in coatings, including advanced paints used in extreme environments; specialty chemicals; aerospace; electronics; pharmaceuticals and other health care technologies; and textiles. All the key breakthroughs and business developments in 2018 in graphene, carbon nanotubes, nanomedicine, Nano cellulose, Nano coatings, nanomaterials regulation, nanowires, quantum dots and energy are covered. 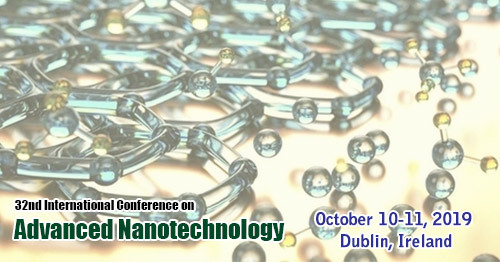 Scientific Sessions: Advances in Graphene Physics | Carbon nano chips and nanostructures | Chemistry and Biology studies of Graphene | Emerging Trends in the field of Graphene nano | Graphene and 2D Materials based Nanocomposites | Graphene and Biomaterials for health Care | Nano Medicine & Biotechnology | Graphene and Graphene oxide | Graphene Application Technology | Graphene Chemistry | Graphite, Graphene & their polymer nano composites | Graphene-like 2D materials | Graphene Modification and Functionalisation | Graphene nano In Energy and Storage | Graphene Supercapacitors | Graphene: Synthesis, Properties & Phenomena | Physics of Graphene | Synthesis of Graphene and 2D Materials. Target Audience : We welcome Eminent Scientists/Research Professors | Junior/Senior research fellows | Students | Directors of companies | Engineers | Members of different Nanotechnology associations. Nanosciences 2018 was successfully completed on Nov 26-28,2018 Barcelona, Spain on the theme: “Taking Nanotechnology to New Heights through Innovation and Collaboration”. With the success of Nanosciences 2018 conference we are welcoming all the researches, scientists and academicians to the Nanosciences 2019 conference which is going to be held during Nov 26-28,2018 Barcelona, Spain. It provides a premier technical forum for reporting and learning about the latest research and development, as well as for launching new applications and technologies. Nanomaterials 2016 is going to be held at Dubai, UAE during April 21-23, 2016 which will bring together world class professors, scientists and doctors to discuss about the current developments in the field of Nanotechnology. This International Nanomaterials conference is designed to provide diverse and current education that will keep Nanotechnology professionals to be updated with the advancements that are taking place in the field of Nanotechnology, The Conference will be organized with a theme “Advances in Nanomaterials and Nanotechnology”. Nano 2016 conference is scheduled during May 19-21, 2016 at Osaka, Japan. It provides a premier technical forum for reporting and learning about the latest research and development, as well as for launching new applications and technologies. This nanotechnology conference is designed with the theme” Nanotechnology in honouring the past, treasuring the present and shaping the future”. Medical Nanotechnology 2016 is scheduled during June 9-11, 2016 at Dallas, USA. This nanotechnology conference provides a perfect symposium for scientists, engineers, directors of companies and students in the field of Nanotechnology to meet and share their knowledge on the theme, “Nano and molecular technologies in medical theranostics”. Nano Congress 2016 will be held at Valencia, Spain during June 27-29, 2016 with the theme “Exploring Advancements in Nanotechnology” highlighting the interdisciplinary nature of Nanotechnology. Scientific Tracks of this nanomaterial conference designed for this conference will enable the attendees and participants to learn extremes. Nanoscience 2016 is scheduled during September 26-28, 2016 at London, UK. This scientific gathering and nanomaterial conference guarantees that offering the thoughts and ideas will enable and secure you the theme “Taking Nanotechnology to New Heights through Innovation and Collaboration”. It provides a premier technical forum for reporting and learning about the latest research and development, as well as for launching new applications and technologies. Nano Expo 2016 would be the biggest marketplace for Nanotechnology, Nanomaterials and Organic Electronics applications, products and research in Australia during Nov 10-12, 2016 at Melbourne, Australia. This scientific gathering guarantees that offering the thoughts and ideas will enable and secure you the theme “Nanotechnology for renewable materials. Nanotek 2016 will address, identify and focus Nanobiotechnology, Biomedical engineering, Applications of Nanotechnology and showcase the current research in Nanomaterials and Nanocomposites. The nanotechnology conference gathering will highlight the challenges and opportunities in both medical and commercial usage of Nanotek products. Hopefully, this expert gathering of academicians, public and private agencies will provide spotlight and new insights on these critical areas. The meeting ensures that sharing the ideas and visions will empowers and establishes you by satisfy the Nanotek Conference theme “Accelerating Research and Pioneering Expansion in Nanotechnology”.